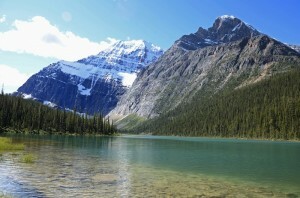 If you go into western Canada’s Jasper National Park, you may see the beautiful and majestic Mount Edith Cavell. The mountain’s namesake was the daughter of an Anglican vicar. Edith Cavell (1865-1915) was a British nurse and patriot during the 1st World War. Although she tended wounded soldiers on both sides at the Berkendael Medical Institute in Brussels, she helped nearly 200 allied soldiers get false documents and flee into neutral Holland and escape to England. In life, Edith Cavell’s Christian faith motivated her brave and selfless actions of human service. Facing death, her faith gave her strength to look toward heaven with expectation, courage and love for others ? even forgiving those who were about to shoot her. It was with these sentiments and her towering faith that Edith Cavell drew her last breath and crossed the threshold from this world to the next. She was 49 years old. Edith Cavell is an example to all Christians to live larger than life, even today nearly 100 years after her death. She took seriously Jesus’ commandment that we should love one another as He first loved us. He said that all people would know that we are his disciples by the way we love each other. (John 13.34-35) Love is our greatest witness for Christ. How did Christ love us? He loved us with a self-sacrificing love that included dying for our sake even when we are his enemies. Gigantic and noble love that is rooted in Christ can raise the best of human ideals to the height of mountain peaks and the realm of angels. Christian love seeks the welfare of all and never seeks to wrong any. Christian love looks for opportunities to do good not only to fellow-believers but to everyone. When society’s love waxes cold Christian love excels. Watching vivid applications of Christian love through people like my friend Monsignor Bill Irwin brought Christianity alive for me and multitudes of other people. His witness was Christian love in action that spoke to me more eloquently than words, clever apologetics or powerful homilies. His spiritual legacy lives on in communities through Catholic Social Services which he founded in 1961. When Father Bill was dying in 2004, I had the opportunity of visiting him. Although he could not speak I had the privilege of sitting beside his bed and saying goodbye to my old friend, until we meet again in eternity. Christian love expressed can change individual lives and even entire societies. It was Christian love and its charitable ethic that motivated the establishment of many of the earliest hospitals, orphanages and schools. When considering Christian charity names immediately come to mind like Vincent de Paul and the Daughters of Charity, Mother Teresa and the Sisters of Charity, Dr. Albert Schweitzer, and William Booth who founded the Salvation Army. Millions of ordinary Christian charity workers and volunteers have also chosen to live above life and elevate human service to a love offering to God. That is the essence of gigantic and noble love that soars to the height of mountain peaks and the realm of angels.